Update: The promised transcript is now available. Jessica Lyon has announced that the Firestorm team will be hosting a Q&A session entitled The Future of Second Life. 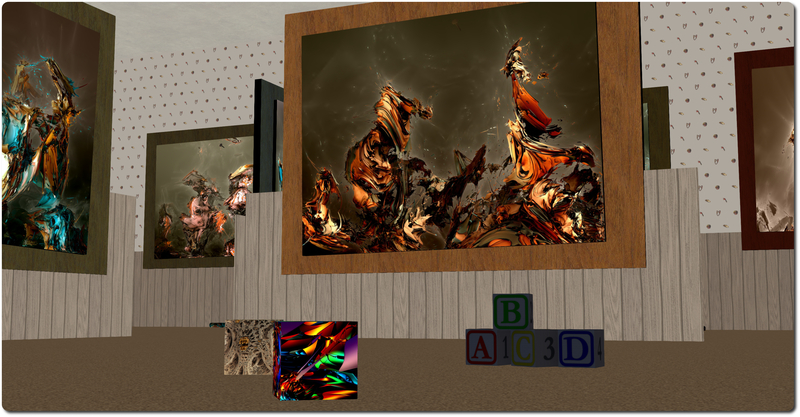 The session will take place on Wednesday July 2nd at 07:00 SLT (that’s 7:00 AM PDT – I’ve always used 24-hour clock notation in this blog) at the Firestorm Auditorium, with seating on a first come, first serve basis. 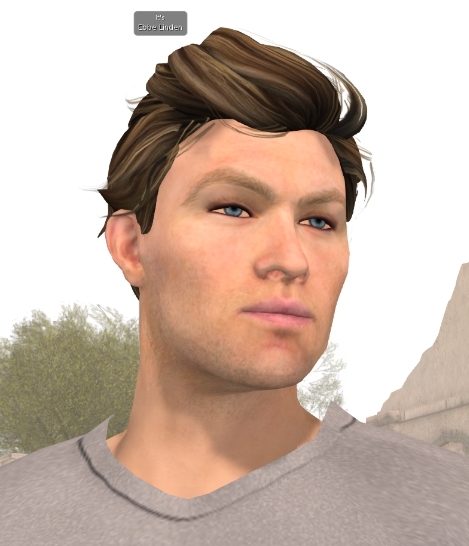 In attendance will be Oz Linden, Technical Director of Second Life at the Lab. Peter Gray, the Lab’s Director of Global Communications may also be present as well. Note that the focus of the session will Second Life – the session will not be a forum for discussion of the Lab’s next generation platform. Opportunities to discuss the latter will doubtless come through various mediums once the Lab more solidly release details about it. The event will be live streamed though I do not have all the details yet. Stay tuned to this bullet for edits. If you have questions to ask concerning SL’s future, please leave them in a comment on the Firestorm blog. Jessica will attempt to ask as many as she can. Please do not leave questions here, as they unlikely to be collected and asked at the session. I’ll also most likely provide a transcript of the meeting as time allows after the event. 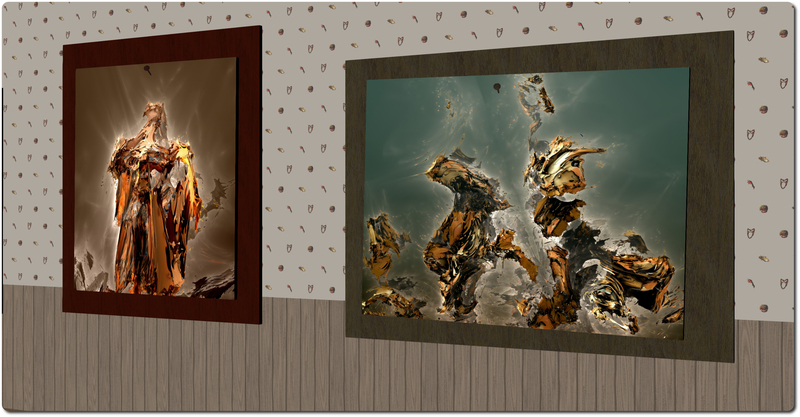 Gemmy’s World is the latest exhibition of fractal artwork by Gem Preiz. Occupying one half of La Maison d’Aneli at Virtual Holland, curated by Aneli Abeyante, the exhibit opened on June 24th – and my apologies to Gem for not having been able to attend the opening. Gemmy is my nephew, a wide-eyed amazed little boy, who spends a good half of his life to dream about the other half. He is the age where every indistinct shape can become a character with whom he populates his imaginary universe, coloured with the thousand shades of the autumn, because it is the season of sweet chestnuts and fireplaces. As he understands nothing to the adults, everybody looks like animals who get lost in secret meetings and night-patrols, in fights and in wild pursuits. It is a world full of movement, jumps, somersaults and contortions for, nothing is more boring than to remain sat quiet doing homework while there are so many adventures to be lived, of huts to be built and of caves to be explored. A world with dangers also, those who haunt his bad dreams, but which won’t make him anything worse than to spoil his breakfast chocolate. He opens you for a while his picture book, and it doesn’t much matter what you will see there: in any manner, he would tell you his stories without even realizing that you are listening to him. 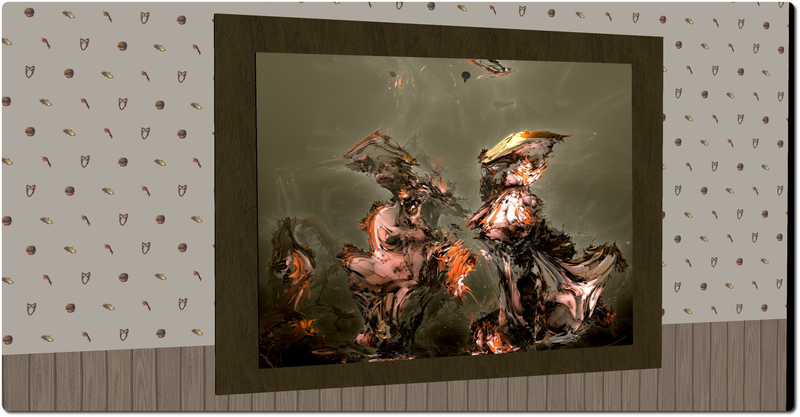 This back story brings the 30 fractal prints on display vividly to life; these are no abstract pieces, they are wondrous places conjured from the fresh and invigorated mind of a young boy. Here are worlds populated by fantastical creatures rising up together or swirling through high corridors of air. Some appear to be on confrontation with one another, others perhaps more playfully competing with each other, and some simply enjoying their freedom of being. Look closely, and what might appear to be one great creature changes to become many, and what at first seems to be a rolling, roiling, alien sea is yet more creatures or boats or both. There is a dynamism here which is given added depth as we see each picture through Gemmy’s young eyes. Follow the pictures around the exhibit space, and a story seems to suggest itself, each image a portrait of one or more of the protagonists within it. Subtle reminders of the exhibition’s roots in childhood imaginings lie scattered across the floor in the form of toys to be encountered as one explores. Gem states he used a recent UWA competition which posed the question, “what makes us human?” as the inspiration for the piece. While he did not participate in that competition, it did give him pause for thought as to what his answer might have been, had he done so. This led him to consider the power of imaginative expression, which first arises in childhood. I freely confess to being a fan of Gem’s work, and have been since first being invited to one of his exhibitions; there is a vibrancy and life to his pictures which I find marvellous. Gemmy’s World is no exception, and I have no hesitation in recommending it. It’s time to kick-off another week of fabulous story-telling in Voice, brought to Second Life by the staff and volunteers at the Seanchai Library. Tea-time at Baker Street sees Caledonia Skytower, Corwyn Allen and Kayden Oconnell open the pages of The Casebook of Sherlock Holmes, the final set of twelve Sherlock Holmes short stories first published in the Strand Magazine between October 1921 and April 1927. In 1896, Mr. Robert Ferguson believes they do. After writing two letter to Sherlock Holmes about vampires, he arrives at 221B Baker Street with a strange tale about his second wife, a Peruvian, who has apparently taken to sucking the blood of their recently born baby. Prior to being discovered in the act by her husband, she has also been found beating Ferguson’s 15-year-old, partially disabled son from his first marriage. Now she has locked herself in her room, and refuses anyone but the maid to see her. In The Field Bazaar Watson supplants Doyle as the recipient of a letter requesting he contribute a short written piece for a charity event (Doyle having received such a request from his old university). 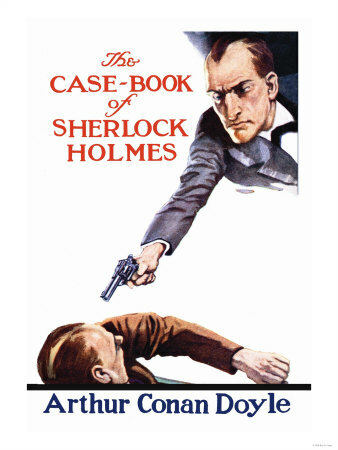 The story plays on both Holmes’ seemingly mystical powers of deduction and also on the breakfast scenes which open a number of Holmes and Watson’s adventures. How Watson Learned the Trick, written 28 years after The Field Bazaar, is almost the latter’s companion piece, having come about due to Doyle receiving a request to submit a short story for inclusion in the library of the remarkable Queen Mary Dolls’ House. The result is another breakfast scene between Holmes and Watson, this one with the good doctor attempting to exercise his own powers of deduction. Join Caledonia Skytower as she reads some Tall Tales at Magicland Park. This week, Gyro Muggins concludes Desert Fox Operation before commencing another story from Larry Niven’s Man-Kzin wars, The Colonel’s Tiger by Hal Colebatch. 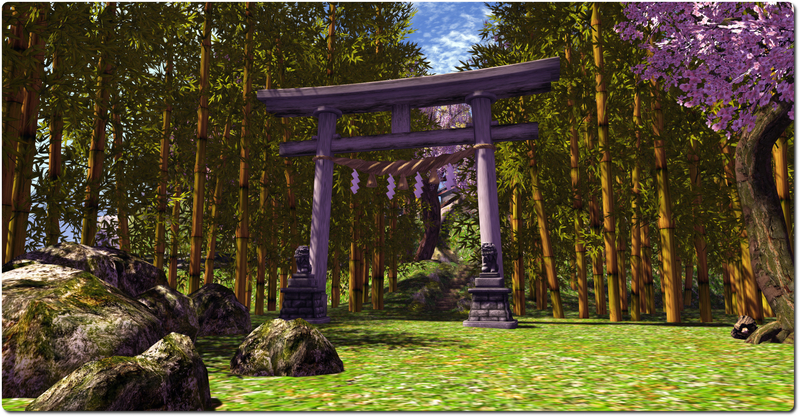 While at the TPV meeting on June 20th, 2014, Ebbe Altberg didn’t only address questions on the new virtual world platform the Lab is developing. The session actually kicked-off with a discussion of user retention in Second Life and the new user experience. Some eight minutes were devoted to the discussion, of which around five and a half were taken-up by Ebbe talking through ideas, and the remaining time either with questions or with reminiscences about mentors and the old mentor programme. The audio presented here represents all of Ebbe’s comments on the subject, together with a transcription for those who prefer to read his comments. The first question was whether the Lab had any further ideas for trying to improve user retention. Well, there are lots of different types of users, and I think we can make it easier for some users without losing the power for other users. But yeah, that is a tremendous challenge, allowing for this incredible flexibility, openness, freedom, and at the same time make it simple. I am convinced there’s a lot of things we can do, not necessarily in the short-term, but in the medium-to-long term that going to make things a lot easier. I mean, just coming in and getting dressed is a major undertaking, and it shouldn’t have to be. There’s a lot of stuff that is geekier than it need to be; what the hell does it mean to “detach” something from your avatar and stuff like that? So I think the user interface can improve a lot. and obviously, a lot of the work that you guys have just discussed here [Experience Tools, etc] will make retention improve. When the quality improves, performance improves, that will do a lot as well. It’ll just take users a while to notice and appreciate, and therefore get sticker. It seems to me, the metric seems to indicate, you know, some potential extra stickiness is going on. We’ll have to see; we’ll have to wait a little longer to be sure about that. But when I talk about making in “simpler”, I’m not suggesting I’m trying to make it dumber or less powerful. So it’s going to take some smart people quite some time to solve for, but we have to try really hard to continuously make it easier. 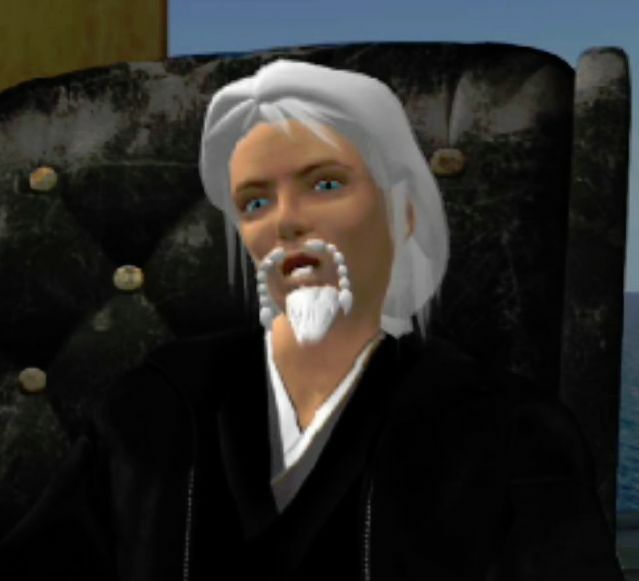 Hopefully we can have something with the power of Second Life, but appealing to hundreds of millions, and not just a million; we have to figure out how to get there. The next question was whether Ebbe was aware of the official mentor programme, and whether he would consider bringing that back. [1:57] I was actually in-world yesterday [Thursday June 19th, 2014] with a group of people, many of whom have been part of that, and so we started conversations. There’s a lot of sub-groups participating in that conversation, of helpers. I think the difficulty is, for our perspective, or why it might have been discontinued, is how do you manage it at scale? Who do you trust? Who’s behaving? Who’s not behaving? I think that might have been a part of it. But I think that also a lot of those efforts were unfortunately discontinued as a part of the big layoff back in the day, when a lot of things were thrown out of the window whether it made completely sense to stop those types of things or not. [2:43] Personally, I’m in big favour of a – what was at the beginning, what was it called? Community Portal? … Community Gateway programme – to enable creators to attract their own audience into their experiences. I think ultimately, if we’re going to scale way beyond a million users but tens of millions or hundreds of millions, we have to allow creators to be able to attract an audience from the outside world directly into their experiences. There we have to think about what does that mean? Does it become some kind of co-shared, co-branded on-boarding experience for people? Because there are too many unique communities and verticals and experiences, that we can’t correctly advertise and drive traffic to those experiences, and it would be much more powerful if the creators could sort-of attract their own audience, and that’s much more scalable. That’s the way I think about it, but how long it will take to get there, I’m not sure. [3:43] So we’re actually experimenting right now, where we’re doing A/B tests with a welcome island as we know it, and a second welcome island with a live helper so we can A/B test the conversion rates and the stickiness of the product. Obviously, one person is not going to do it, but we’re starting with one person as a very consistent way of treating people coming in. and then we can see what the actual performance differences [are] between those two experiences. We’ve also tried with audio on and audio off. So we’re doing these little A/B tests to see what works, and if we find that having a live greeter there has a meaningful conversion rate improvement , then we just have to figure out how we can scale that, so we can have people able to meet everybody. I haven’t seen statistics come out of that yet. I saw some stats of audio versus no audio, and it was like a tiny, tiny, plus for no audio, so we’re now trying with no audio, or no speech, so that … but other things we can do is maybe only certain people can get to the welcome island … and [not] having cuckoo folk show up there … Having a way to … we can technically potentially solve it so that we don’t have to have people kicking people out, but you could be sort of, only new users or … and if you’re a brand-new user, it’s a little harder to grief than if you’re and existing user. Anyway, it’s stuff we’re actively playing with. I’ll try to figure out when we’ll have statistically relevant numbers from the tests we’re doing, and then we’ll go from there. The idea of enabling established users to be able to build tailored on-boarding experiences which not only get newcomers involved in their activities, but also provide them with sufficient guidance to be able enjoy the rest of what a platform has to offer, could be a powerful move in the right direction. Not only does it resolve issues of scalability, it is also something that delivers the on-boarding process more squarely to users within a platform, something many in SL want to see. It will be interesting to see if the Lab actively pursue such an approach with SL, or whether it is something they’ll look more towards implementing in-depth on the new platform. Perhaps we’ll see a little bit of both; the Lab initially “trialing” such an approach on SL, prior to enhancing / expanding it with their new platform. The further A/B testing with the current on-boarding process is interesting. Even if one discounts 90% of the current 350,000 (ish) monthly sign-ups as alt creation or spambots*, that’s still potentially 35,000 new users month who are coming into SL, of whom around 80% have apparently evaporated within a month. So any attempts to increase on this are to be welcomed. That said, whether user retention can be signficantly increased by tweaking at the edges of the current on-boarding process is debatable. I tend to still be of a mind that without finding the means to connect incoming new users on a more “social” level with others within SL, attempts at increasing user retention will be limited in success. Nevertheless, it will be interesting to see what comes out of the current A/B testing – and in seeing just where else the Lab is willing to invest time and effort in order to try to increase SL’s retention levels. *Footnote: some claim that 99% of this number is the result of spambots which never actually go on to download the viewer, much less log-in. While I agree that the potential number of sign-up hits by bots is likely to be high, placing it that high is perhaps a stretch, and points toward’s Marcello Truzzi’s statement that such an extraordinary claim requires extraordinary proof. Google have released their first foray in to the world of immersive VR. 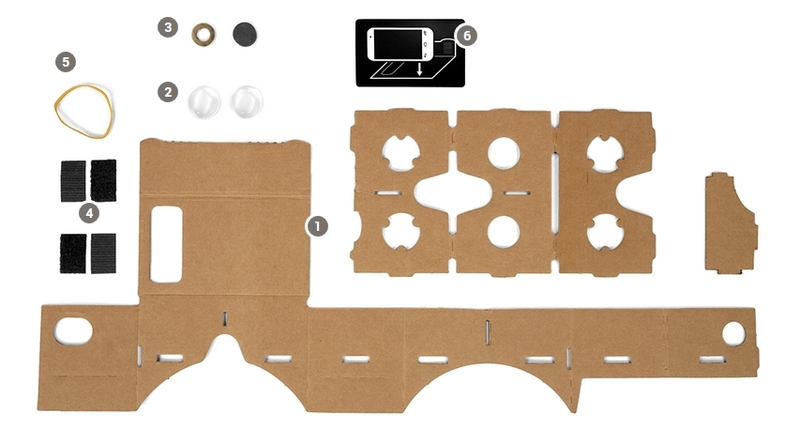 They’re calling it Cardboard, because the do-it-yourself headset is made of … well, cardboard. “Construct a VR viewer from everyday items you can find in your garage, online or at your local hardware store,” is the headline on the Google Cardboard website, complete with a picture of the necessary components. And before you laugh yourself silly thinking this is another little joke from those pranksers who brought us GMail Blue in April 2013, it’s not. The heart of the system is a VR App designed to run on smartphones which can be mounted into the home-made headset. 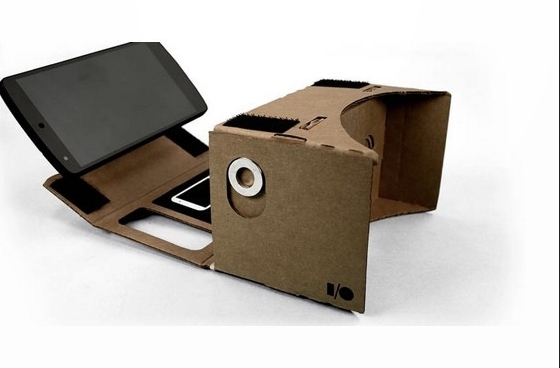 Cardboard was unveiled at the Google I/O Developers Conference in San Francisco. the app takes advantage of a smartphone’s built-in accelerometers and gyroscopes to provide head tracking, and demonstration environments include a Hall of Mirrors and the opportunity to travel through Chicago. Users can also watch YouTube videos as if sitting in a movie theatre and explore 360-degree panoramic photos or run a series of VR experiments using Google Chrome on their ‘phones. There’s also a software development kit which allows users to code their own immersive experiences. “David Coz and Damien Henry at the Google Cultural Institute in Paris built a cardboard smartphone housing to prototype VR experiences as part of a 20% project. 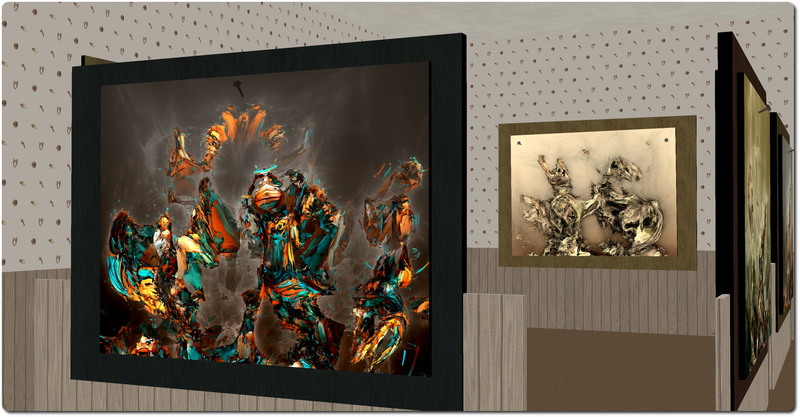 The results elicited so many oohs and ahs that they inspired a larger group to work on an experimental SDK,” the website explains, providing the “why” of the effort. Nor is the headset entirely low-tech. Although a phone is almost completely encased in the headset, the instructions provide a guide to making a trigger with a metal ring and a magnet and which uses the ‘phone’s magnetometer. Flicking the ring downward as items come into view allows you to select them. For those who don’t want to be bothered with gathering all the bits and cutting cardboard to create their own headset, and just want to put the thing together and start enjoying VR on their smartphone, a pre-cut kit with all the necessary parts can be purchased from Dodocase! Now all we need is SL Go with the Oculus Rift viewer code 😉 .